Liberia-based Western Cluster Ltd (WCL) has become a wholly-owned subsidiary of Vedanta Resources iron ore mining arm Sesa Goa as it acquired the remaining 49 per cent stake in the company for $33.5 million (Rs 185 crore). Sesa Goa had purchased a 51 per cent stake in WCL in 2011 for $90 million (Rs 411 crore). Several hundreds of villagers from Navelim in Bicholim taluka held a protest asking for the closure of Sesa Goa’s metallurgical coke plant in the village. The villagers claim that the plant is polluting their surroundings. They also say that the company did not obtain any permission from the Pollution Control Board (PCB) and Central Ministry for Environment and Forest (CMEF) before starting the project in the village. The shareholders of iron ore firm Sesa Goa have given their approval to a merger with group firm Sterlite Industries with 91.7% of the Sesa Goa shareholders present at a meeting in Goa voted in favor for the acquisition. On the other hand, 92% of Sterlite Industries' shareholders approved the deal. Anil Agarwal-led Vedanta Resources has been planning to merge two of its units, Sesa Goa Ltd. (SESA) and Sterlite Industries (India) Ltd. in an attempt to reduce its debt in the country. 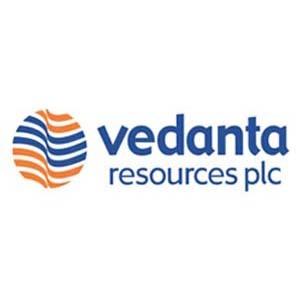 Vedanta Resources Plc (VED) is planning merge two of its units, Sesa Goa Ltd. (SESA) and Sterlite Industries (India) Ltd. (STLT) in an attempt to reduce its debt in the country. Sesa Goa is a leading iron ore while Sterlite Industries is involved in production of copper and aluminium. Vedanta Resources had earlier tried to merge its copper, aluminium and iron ore business units in 2008 but it had to abandon the plans following stiff opposition from investors. Anil Agarwal led Vedanta Resources is planning to merge two of its units in the country, namely, Sesa Goa and Sterlite Industries. A senior official of a mining firm in Goa has said that foreign funding might be behind those opposing the iron ore mining industry Goa. P K Mukherjee, the Managing Director of Sesa Goa Limited said that the company does not know if foreign funding is behind the activism but warned that such aspects are harmful in the long run. The India's largest private sector iron ore producer and exporter, Sesa Goa 's shares have been hit by a 52-week-low on a mining ban in the iron-rich regions of Chitradurga and Tumkur districts in Karnataka. The stock was recorded to be down by Rs 10.55 or 4.74%. The shares of JSW Steel Ltd are trading at Rs. 651, which is decreased by Rs 13.90 or 2% and the stock has been hit by a high of Rs. 675 and a low of Rs633. It was reported that Sesa Goa owns a mine and JSW Steel runs its biggest mill in the country. As part of the Union Budget 2011-12, export duty on iron ore is proposed to be hiked to a uniform 20% from existing 5% on fines and 15% on lumps, further compounding problems for Sesa Goa. We estimate FY12E EBITDA impact of Rs8.7bn (16%) and EPS impact of 11%. However, in our opinion, CMP adequately factors in the concerns. Maintain ‘BUY’ with a revised DCF-based TP of Rs326. Following the Supreme Court's order of withdrawing power rebates to industrial units, Goa government has began one of its biggest recovery campaign. Goa government will be recovering dues around Rs 16 crore from companies based in Goa. The companies which have to pay dues include big names also like Sesa Goa, Nestle India and MRF. (up 59% YoY to USD87/t) despite lower volumes (5.4mnt, dow 21% YoY, first decline in 14 qtrs). Adjusted profit rose 40% YoY to Rs10.6bn on higher treasury income and lower tax rate. Third party mining operations in Orissa ceased- To dent volumes & earnings Sesa Goa announced closure of its third party mining operations in Thakurani mine, Orissa as it was unable to renew the contract on viable commercial terms on long-term basis. We believe this will negatively impact volumes; however the impact on earnings would be less severe due to third party nature of the contracts which entail higher costs. Stock market analyst Nikita Surekha has maintained 'buy' rating on Sesa Goa Limited stock to achieve a target of Rs 346. According to analyst, the stock can be bought with stop loss of Rs 331. The stock of the company, on November 15, closed at Rs 338.40 on the Bombay Stock Exchange (BSE). The share price has seen a 52-week high of Rs 494.30 and a low of Rs 314.65 on BSE. Current EPS & P/E ratio stood at 34.96 and 9.68 respectively. In its October 20, 2010 research report KRChoksey has suggested to hold rating on Sesa Goa with an aim of Rs 390. Sesa Goa has accounted consolidated sales of Rs 907 crore as contrasted to the Rs 534 in the consequent quarter last year. Sales volumes rose up by 25% to 2.0 million tonnes as contrasted to 1.62 million tonnes in Q2FY10. Successively the sales volumes fall down by 62% majorly on account of seasonality. The group, Vedanta organization Sesa Goa today augmented above two per cent in the initial deal on the Bombay Stock Exchange, a day subsequent to the group recorded above dual development in its net profit for the quarter of September month. The reported net profit of Sesa Goa is Rs 384.94 crore for the subsequent quarter of the recent financial year as alongside Rs 166.46 crore in the similar period of previous financial. Stock market analyst Sanjay Surekha has maintained 'sell' rating on Sesa Goa Ltd stock with target of Rs 270. According to Mr. Surekha, the investors can sell the stock with stop loss of Rs 365. Today, the stock opened at Rs 326 on the Bombay Stock Exchange (BSE). The share price has seen a 52-week high of Rs 494.30 and a low of Rs 153.50 on BSE. Current EPS & P/E ratio stood at 25.81 and 12.84 respectively.